Great looking European inspired display! 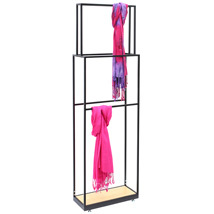 Organize and display your clothing and clothing accessories with this modern metal garment rack. Perfect retail store display for scarves, pants, quilts, blankets, towels, fabric, drapery and more. Contemporary double-sided clothing rack with matte black 1/2 in. tube frame and maple laminate base. 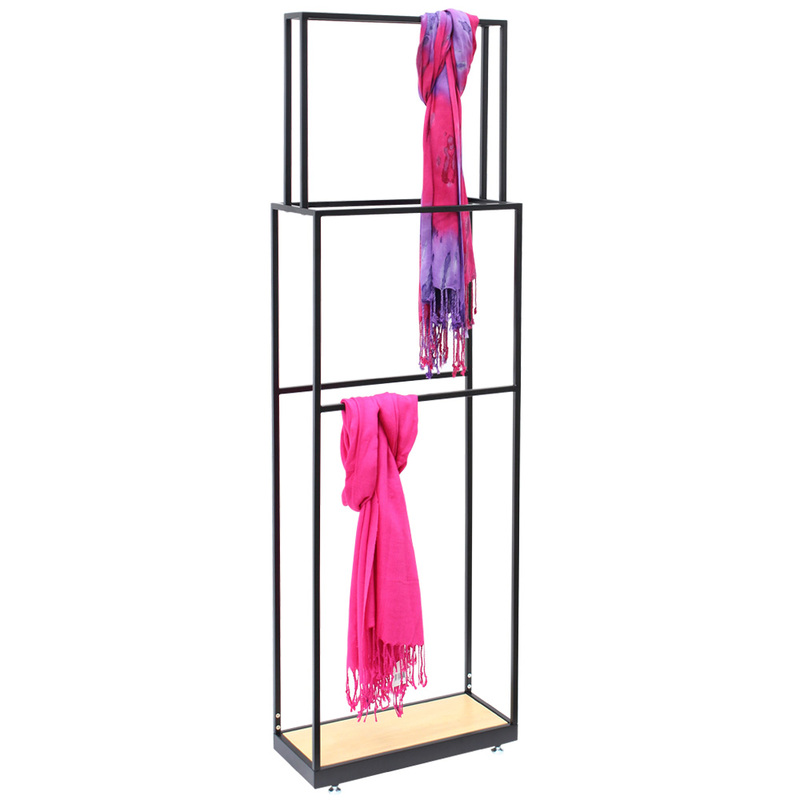 Features dual-sided design with a total of 6 rods, which allows you to display an array of items. Scarf capacity varies by size of scarf. Can hold up to 14 full size scarves. For further items, we ask you to take a moment to have a look at our thorough range of retail clothing racks for sale at Specialty Store Services now.